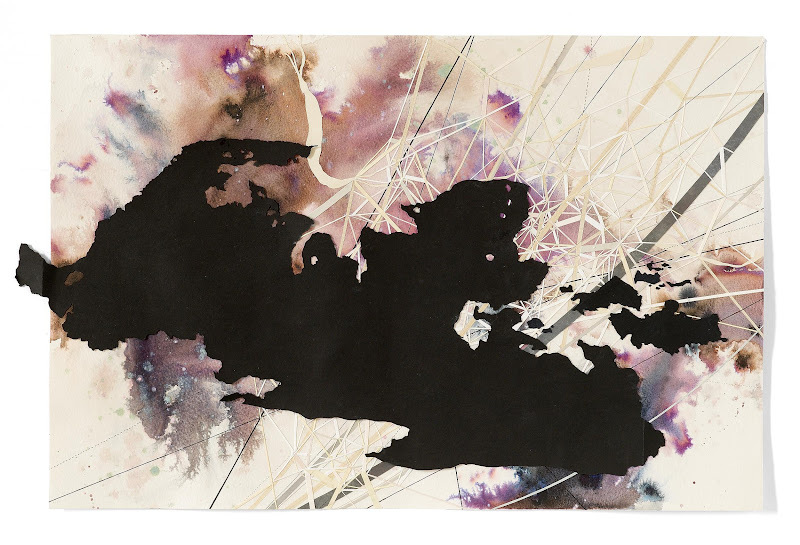 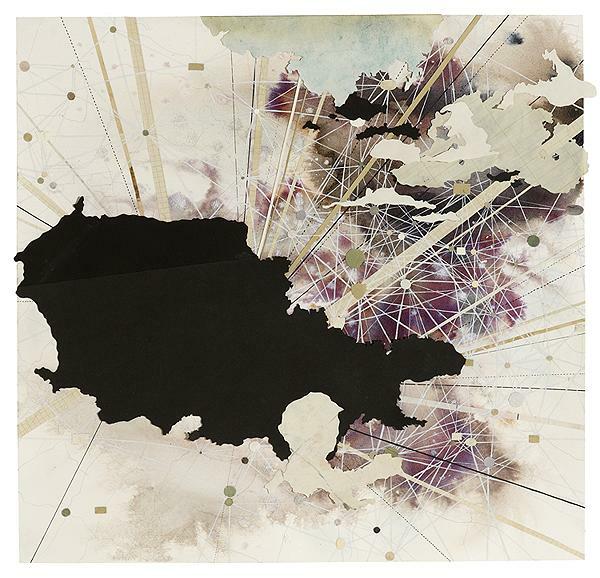 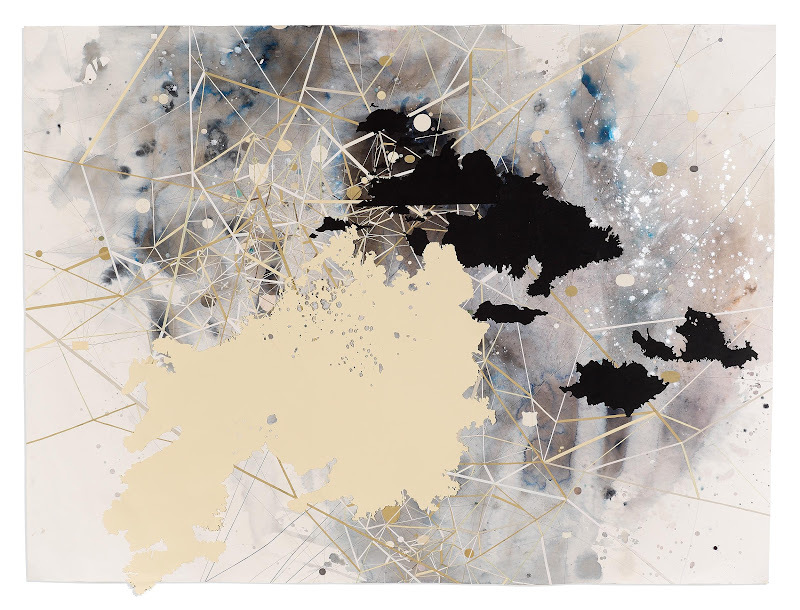 Val Britton makes immersive, collaged works on paper that draw on the language of maps. 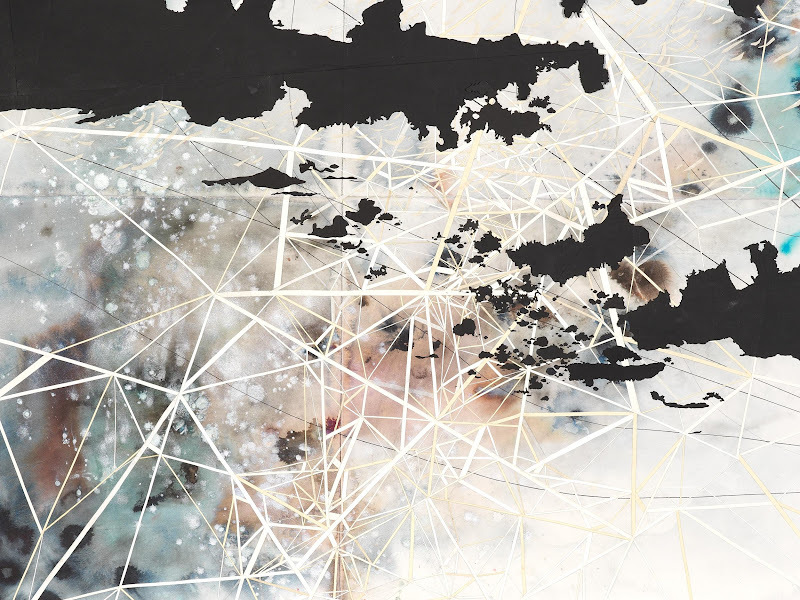 The impetus for this body of work was my longing to connect to my father, a truck driver who drove eighteen-wheelers across the country; he died when I was a teenager. 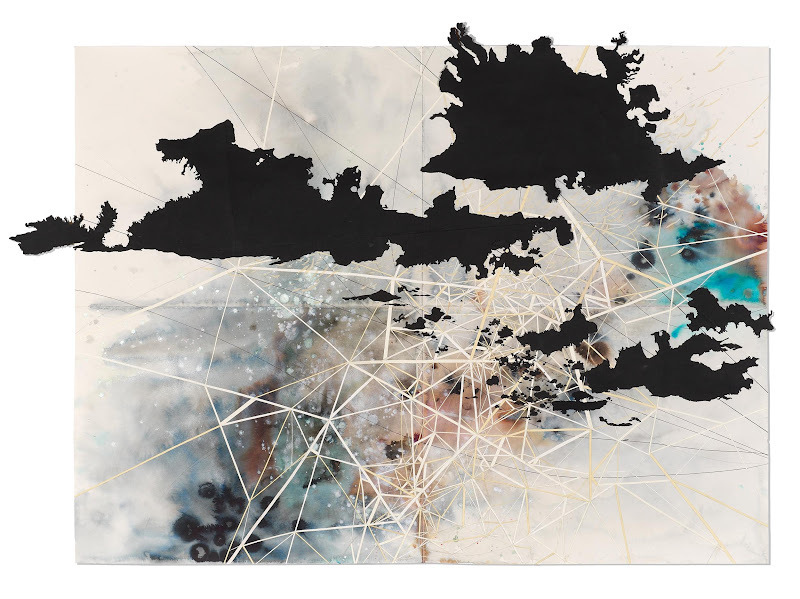 Based on road maps of the United States, routes my father often traveled, and an invented conglomeration, mutation, and fragmentation of those passageways, my works on paper help me piece together the past and make up the parts I cannot know.